Ads-On-Bikes. Ride your bike. Get paid. Ride your bike. Get paid. 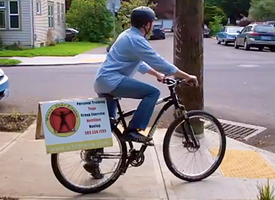 Ads-On-Bikes is a bicycle-based advertising project built around the idea of empowering everyday commuters and local business. Cyclists are rewarded for healthy lifestyles and only promote the businesses they truly support and believe in. Businesses get unique exposure, a good value and a chance to invest in the community. We're based out of beautiful Portland, Oregon — regularly voted one of the most bicycle-friendly cities in the country! If the idea can take off anywhere it would be here. We have grand ambitions of promoting this concept worldwide, but for now we're focusing locally. Glad you asked! We're still in beta and are being very selective, but we're happily accepting new applicants for both cyclists and businesses. If you are a cyclist or business interested in participating please join our mailing list. We will be contacting people as we slowly open the program. Watch this whimsical YouTube video to get an idea of how the idea works in action and what future campaigns could look like. 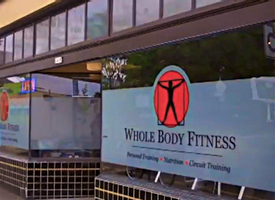 At the end there is an interview with the owner Whole Body Fitness in Portland, Oregon, as well as a demonstration of how the ad was constructed and utilized for that campaign. © 2008-2013. Ads-On-Bikes.com. Based out of beautiful Portland, OR. 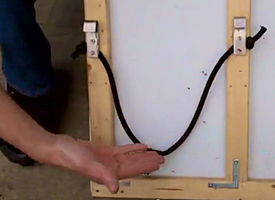 A Pedal Driven project.